These are just a few ways to mess with a jazz history syllabus. They might not be innovative recordings but they do show musicians listening and learning from one another while expressing themselves. That has to count for something in jazz, or music. Unfortunately outbursts like this one were rare. King didn’t use standard acoustically sanctioned percussion like cymbals and blocks as much as his contemporaries Zutty Singleton, Baby Dodds and Chauncey Morehouse. So despite all the records, it’s hard to hear what or how King was playing early on his career. Either way it got him plenty of work. He must have been doing something worth hearing. Aside from a few cymbal crashes and the faux-oriental blocks and tom-toms, King’s main rhythmic medium here is his snare and bass drums. He keeps up a simple but buoyant bounce alongside Tommy Felline’s banjo and steps out behind Pete Pumiglio’s (red hot) alto sax solo. The brushes are pure momentum, more than compensating for Ward Lay’s slightly ponderous tuba. 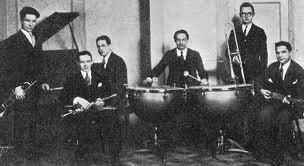 There’s none of the military-style heft that so many historians associate with prewar, snare-centric jazz drumming. Frank Trumbauer and His Orchestra, "I Like That"
Listening to King nearly sixty years later, renowned drummer Mel Lewis pointed to King’s “clean” style with more than faint praise. A crisp, precise and utterly unobtrusive approach defines King’s style more than any part of the drum set. He was above all an ensemble player who rarely soloed but always made sure that the band was “well fed” (to paraphrase bass sage Walter Page describing the role of the rhythm section). The Goofus Five, "That Certain Party"
King isn’t Krupa, Dodds, Sid Catlett or for that matter Elvin Jones, but it’s easy to imagine any of those players taking the same approach that King does given the thin material, flimsy arrangement and the fact that this is really Armstrong’s show. Riccardi astutely points out King’s “tasty” accents during Armstrong’s opening trumpet chorus, and the fact that “relaxation is the key” here. There’s a difference between playing stiffly and playing appropriately, a difference King was more than experienced enough to understand. In the stylistic wake of louder, better-recorded and busier drummers, it is easy to overlook someone like King, who performed an essential role seamlessly and without drawing attention to his work. What some overlook, others celebrated. Drummer Chauncey Morehouse would praise King for his solid time years after his colleague’s death (when Morehouse led his own date playing his patented N’Goma drums, he chose King to handle traps duty). 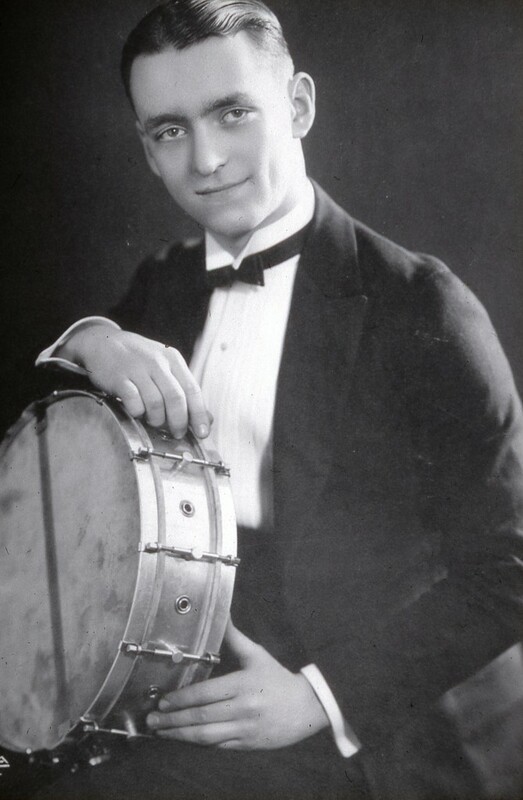 Fud Livingston thought King was “the world’s greatest drummer!” Saxophonist and historian Loren Schoenberg noted how King continued to get work despite his well-known status as a “fall-down drunk.” It didn’t seem to matter; King got the job done. Fud Livingston’s arrangement gives King and the rest of the band plenty of room. King is a force of nature, crisp and light as always but distinctly forward in the mix, perhaps the influence of what Krupa and Chick Webb were bringing to the table at the time. King still remains his own man, with press rolls in first chorus and rim shots and backbeats egging on Zurke’s contrapuntal flurries and Sterling Bose’s trumpet. At a time when most drummers were emphasizing cymbals and a steady horizontal flow, King stuck to skins and a charging but tight vertical feel. He had something unique to contribute and put the needs of the band first. That certainly sounds like a jazz drummer or maybe a just a good band drummer, but definitely a drummer worth hiring, and hearing. The copy of Jazz Gentry: Aristocrats of the Music World on loan from the library of a prestigious music school doesn’t even have a crease across its spine. Every page is crisp, they all rest perfectly flat on top of one another and all of their corners are still sharpened into a prickly point. There’s also no evidence of fingers, or for that matter sunlight or lamplight, blemishing Bobby Hackett’s earnest face on the cover. The virgin stamp card at the back seems redundant; it’s immediately obvious that this book has never been picked up off the shelf, let alone left the building. Apparently in the fourteen years since it was published, Warren Vaché’s collection of interviews and insights from dozens of prewar jazz musicians hasn’t sparked the interest of any of the students attending this renowned institution. To be fair, most of the musicians that Vaché interviewed weren’t associated with any styles taught in a classroom. They had already faded from jazz’s collective memory by the time he first wrote these pieces for various magazines in the seventies. Yet the musicians themselves were still around. Now esoteric pursuits with names like “Chauncey, Challis, Cork” and “Doc” were still people with brains to pick and memories to mine. It would be easy to assume that Vaché’s subjects played too many melodies or too few amplifiers to attract contemporary music students. Yet that’s an assumption based on generalization and laziness. History is a hard sell for a lot of people, regardless of age, taste or how many Coltrane tunes they have memorized. Many of the current descriptions of prewar jazz, or lack thereof, haven’t helped matters. The [Vincent] Lopez orchestra went on tour, and when Joe [Tarto] learned they would play the Mosque Theater in his hometown Newark, he sent word to his mother so she could come see him perform-something she had never been able to do before…Joe had a featured spot on the program doing a slap bass chorus on “Milenberg Joys.” As a finale, and to add a little showmanship while in the spotlight, he got into the habit of kicking the bass into a spin. All the kicking had finally worn a hole into the back of the bass, and between shows at the Mosque a stray alley cat found the hole and crawled in. Nobody was more surprised than Joe during the next rendition of “Milenberg Joys” when the frightened cat began screaming and trying to claw his way out through the F holes of the fiddle. 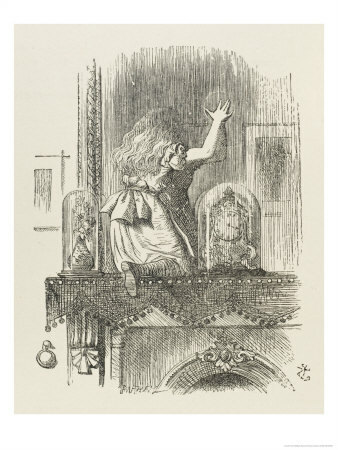 For a moment he thought a ghost had taken up residence in the old bass, but like a real trouper he kept on thumping away right up to the finale. 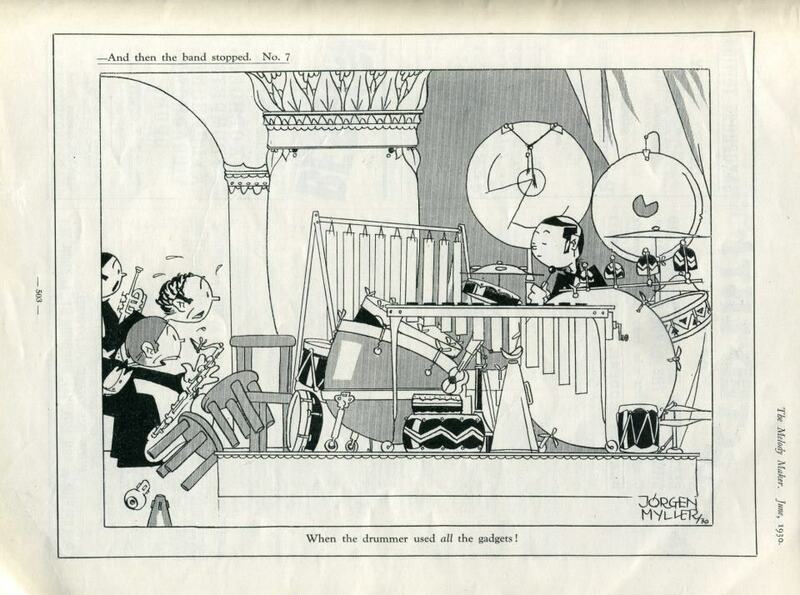 But when he launched the customary kick, the hole in the bass opened up and released the cat, which took off for the pit musicians, knocking over music stands and winding up in the lap of the pianist. The audience howled, thinking it was all part of the act, but the SPCA didn’t think it was funny. Joe had a hard time convincing the humane society representative that the cat wasn’t part of the performance. 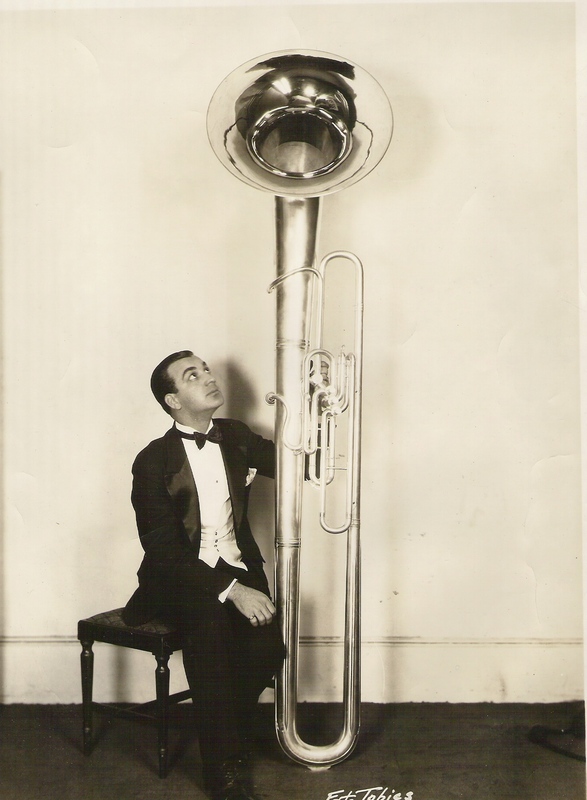 Tuba player, bassist, arranger and composer Joe Tarto was about seventy-one years old when he told this story to Vaché, and it is heartwarming to picture him as a young, green musician, excited by the chance to perform for his mother and encountering some harmless bas luck (and also to know that even back then, a diligent member of the SPCA was on hand to look out for that poor animal’s welfare). The image of the Lopez band opening up a chart and letting a rhythm instrument solo is also telling. Bass solos are still relatively rare, so in 1925 this must have seemed postmodern. While a bass is now more likely to walk rather than slap, the bottom line remains musicians making music. Not “commercial music, “serious music,” “art” or “entertainment” but music they enjoy. Reading Vache’s book is less a matter of respecting one’s elders than simply conversing with a colleague. Don’t get hung up on labels like “dead” or “alive,” just get to a library! 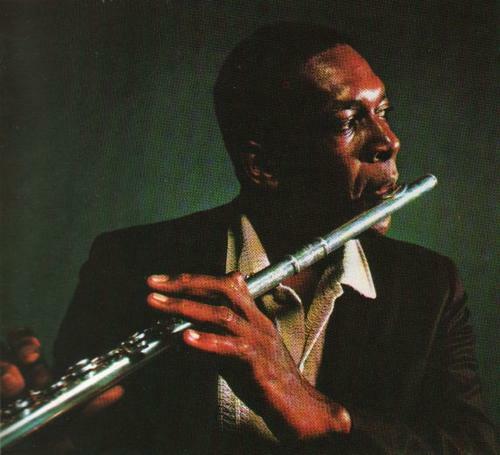 Coltrane’s reliance on pure tone and straightforward lyricism speaks to a style of jazz that can paraphrase melodies (even fast ones) as well as deconstruct them. The “tune proper” isn’t thrown out after the first chorus, but partnered with throughout the performance, channeled to make something recognizable but personal. Do yourself a favor and click on the following hyperlinks. You will not be sorry. Coltrane, the symbol of boundary-pushing, technically advanced modern jazz, keeps company with Louis Armstrong and Bix Beiderbecke, as well as Phil Napoleon, Manny Klein and Joe Smith. 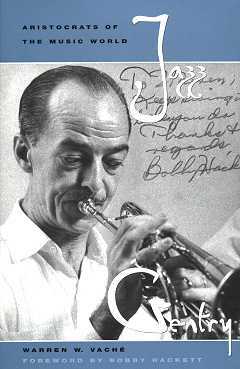 Trumpeters were usually the ones playing lead in the twenties, thirties and forties, but saxophonist Frank Trumbauer and his way of paring down a melody to its essentials also comes to mind, as does trombonist Kid Ory. Don Murray, with a gorgeously burry sound and distinct personality on baritone sax, also understood that the expressive potential of straight melody. Even Guy Lombardo’s sax section, hated by jazz scholars and beloved by Armstrong for their clean melody statements, might have appreciated Coltrane’s approach on Ballads. Walker provides a rich lead for the leader’s punctuations, and while he doesn’t get all of his notes out, its an admirable solo. Modern ears may hear it as a novelty, but the tone, the attempt to control the sound and the refusal to harrumph reveal a player giving both the melody and his own voice their due. Differences of chops, decades and octaves notwithstanding, these musicians were all about the tune. Wonder If He Listened to Alberto Socarras? I’ve hated the word “Dixieland” since I first gathered a few friends from my high school band to play the music of Jelly Roll Morton, the Bobcats and other prewar jazz musicians. No matter how much I insisted that we were playing “traditional jazz,” the label “Dixieland” stuck with teachers, parents and other (unfortunate) listeners. My distaste for that word had nothing to do with any cultural or chronological connotations. Ironically, as a kid who had spent his whole life in Brooklyn with occasional travel as far as City Island, I had no idea that “Dixie” signified the South, especially some (ridiculous) vision of an idyllic antebellum South. If “Dixie” meant “archaic,” my teenaged reverse conformism just thought, “the older, the better!” No, I hated that five-letter word because it reminded me of an earlier childhood treat that had neither the longevity or nutritional value of jazz. I had only heard “Dixie” in reference to the circular bricks of processed ice cream that elementary school teachers deposited on my desk as a sign of celebration (read, pacification), food that didn’t merit a spoon but just included a small, dull, wooden plank, a utensil that correctional officers might like because inmates couldn’t carve it into a shank. 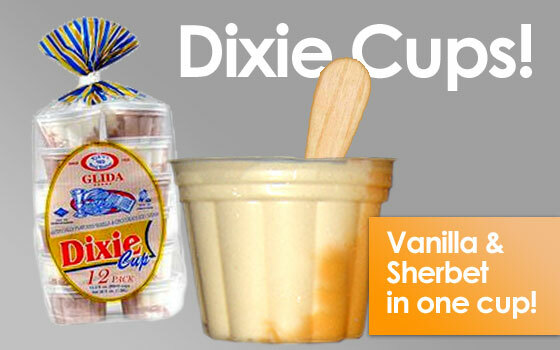 “Dixieland” reminded me of Dixie Cups, and that was an outrage. 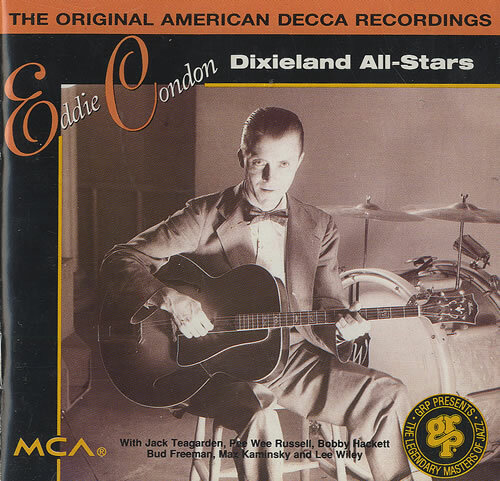 Sure, the word “Dixie” could have seemed like a bite of nostalgia, almost the way it did for the lyricists of tunes such as “Anything Is Nice If It Comes From Dixieland” or “There Ain’t No Land Like Dixieland,” anthems to a kinder, simpler time (that was never kind or simple). “Dixieland” bands did reference the early days of jazz through choice of repertoire, collectively improvised ensembles and their preference for blue thirds over flatted fifths. Some Dixielanders paid obvious (sometimes gratuitous) homage to the original artists. Phil Napoleon Never Played Dixieland. Yet those artists’ music had to deserve a better label than that of a tiny, soggy, syrupy sweet confection aimed at underdeveloped palettes. 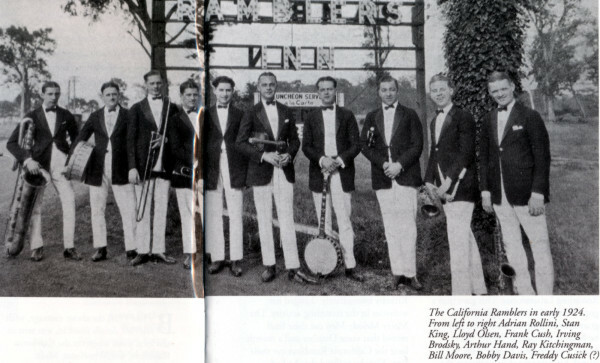 By extension, the thin horns and bloodless rhythm sections I heard from many so-called “Dixieland” groups was a far cry from Bix Beiderbecke’s popping ensembles, King Oliver’s dense, earthy polyphony or even the Original Dixieland Jazz Band’s almost frighteningly frantic attack. The music of the “Chicagoans and the best contemporary “trad” players listened back but resounded in the here and now. By contrast “Dixieland” seemed like sugarcoated revision rather than sincere reflection. Of course the distinction between good music, bad music and bad labels gets clearer as I get older (while straw hats and red suspenders will always be just plain awful): like ice cream or a host of other delights, everyone knows what’s good or bad when they hear it. “Dixie” remains something that’s tolerable in small doses but will eventually make me sick. Dance music of the twenties and thirties: dreary, colorless and filled with musicians diligently playing dull written parts, until an improvised break or solo allowed them to display their individuality and inject a brief moment of “jazz” amidst all that “commercial” music. the difference isn’t just about instrument or arrangement. These are two entirely different approaches to timbre, phrasing and section balance: Trumbauer’s dry tone sliding in and out of the theme from between his reed section colleagues, versus Hazlett’s buttery, vibrato-laden and slightly (deliciously) nasal sound providing a lush melody statement on top of the other saxophones. Both players fashion entirely distinct and deeply personal approaches despite (perhaps even through!) written parts. Neither tune was the cream of the compositional crop, and the chance to shine with multiple improvised choruses on Rhythm changes was a few years and at least one stylistic revolution away. Yet whatever the difference between “jazz” and “commercial” music, there’s clearly a difference between the music on paper and the music at work in these two recordings. The incredible technique is still there after “all those years,” even more well integrated into a highly personal (though clearly indebted to Miff Mole) style based off of wide intervals and suspended harmonies. The difference is a surer, more rounded sound and suppler sense of construction, which allows those leaps and notes to color Rank’s inventions rather than anchor them (as they occasionally do on earlier records). Hearing Rank’s music on its own terms, without any legendary colleagues surrounding it, is the real find. As for the “modest and captivating” person playing these solos, he confesses to embarrassment at the privileged treatment by his Dutch fans, and he still pronounces the name of an admired colleague with a Midwestern clip (“Adrian Roll-IN-e“). Not much to do with the music, but sometimes the brain and heart behind the notes matter. Who’d have thought? Cool jazz is usually assumed to have been a reaction to bebop that first appeared in the late forties, with opponents popping up soon after. It’s no secret that Bix Beiderbecke and Frank Trumbauer were experimenting with “cooler” sounds in the twenties. Yet the lineage of the cool, as well as its its haters, is just as strong in the music of Ernest Loring “Red” Nichols. Both Red’s jazz and cool jazz share a sense of exploration and reflection, along with critics who were unable to listen past their own fiery, immediate preconceptions. Nichols’ way with a front line speaks volumes from the start. Instead of the three-way polyphony heard in hundreds of combos at the time, cornet and clarinet lay down a bone-dry lead (similar to the brass and reed front lines of most post-war groups). The attention to detail for just two horns is also revealing, first answering Eddie Lang‘s guitar in unison for the introduction, then switching to tight, coy harmony for the melody, with Vic Berton‘s timpani offering its own abstract commentary. When collective improvisation does materialize, it’s with the same balance and intimacy heard earlier. Even the timbres are telling: Nichols’ clean, lithe, slightly clipped cornet, Jimmy Dorsey whistling polished, cutting phrases on clarinet. The false fingerings and ghosted notes of Nichols’ solo illustrate why “clever” doesn’t have to be an epithet. Dorsey’s arpeggios and phrase entrances come across as more acrobatic but equally measured. Pianist Arthur “The Baron” Schutt shows off his classical studies with busy, two-fisted rubato, while Lang’s strings resemble a steely, pensive harpsichord. The players cherry-pick their notes as though in the midst of some detailed internal calculus, insistently (and for that time, bravely) refusing to throw everything in until they know what’s possible. Many critics hear careful reserve. Other listeners just notice technique, curiosity and patience.